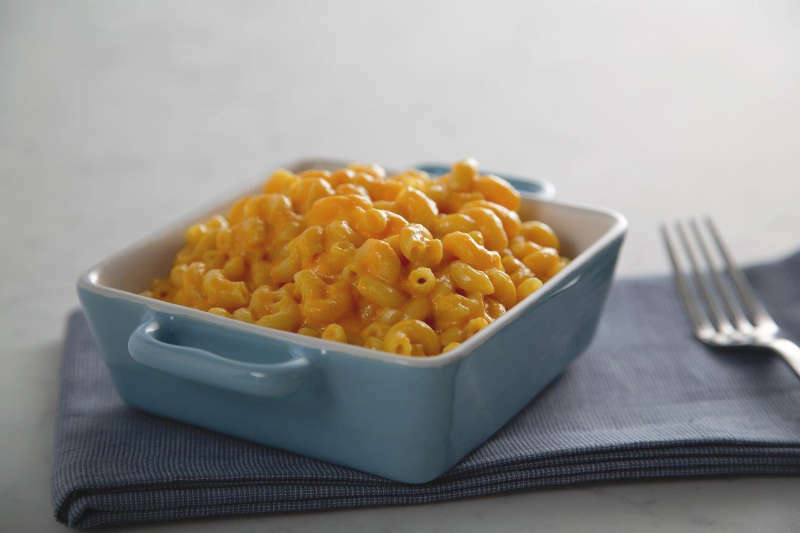 A few healthy swaps is all it takes to lighten up elbow macaroni and cheese and give it a boost of vegetable power. Your kids won't even notice the difference! While this dish still features cheesy favorites fontina and asiago, orange carrot purée completes the natural creaminess of this pasta dish. Instead of heavy cream, let half and half do the not-as-heavy lifting. For other nutritious pasta recipes like this macaroni and cheese dish, browse Barilla's healthy recipe collection. 1. Bring a pot of water to a boil and begin cooking elbow macaroni noodles. 2. Meanwhile, add Half-n-Half to skillet and slowly bring to a simmer. Then add carrot purée. 3. Whisk in Asiago and Fontina cheeses, let simmer and then season with salt and pepper. 4. Drain elbow pasta 1 minute shy of cooking time and toss with cheesy pasta sauce. Serve immediately.